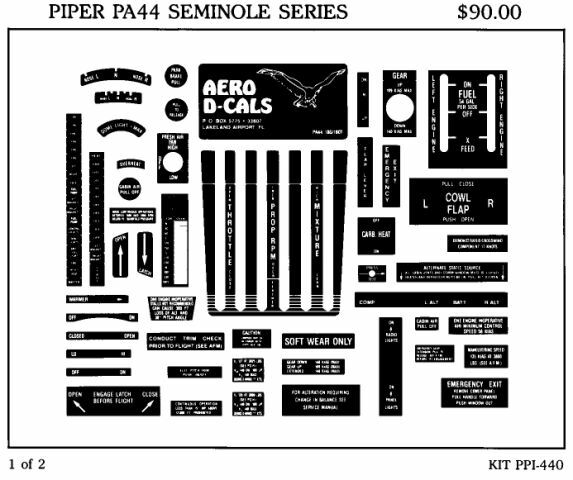 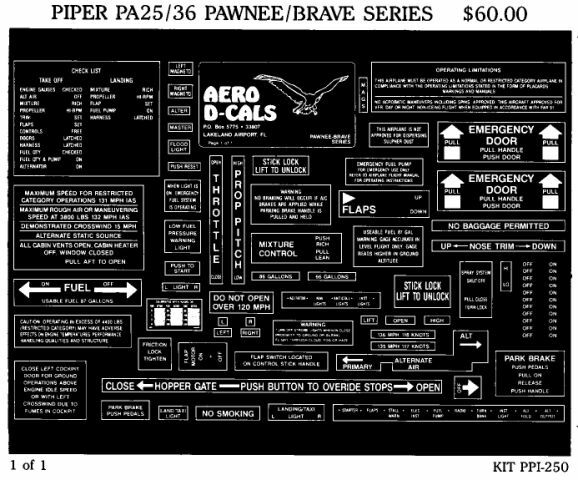 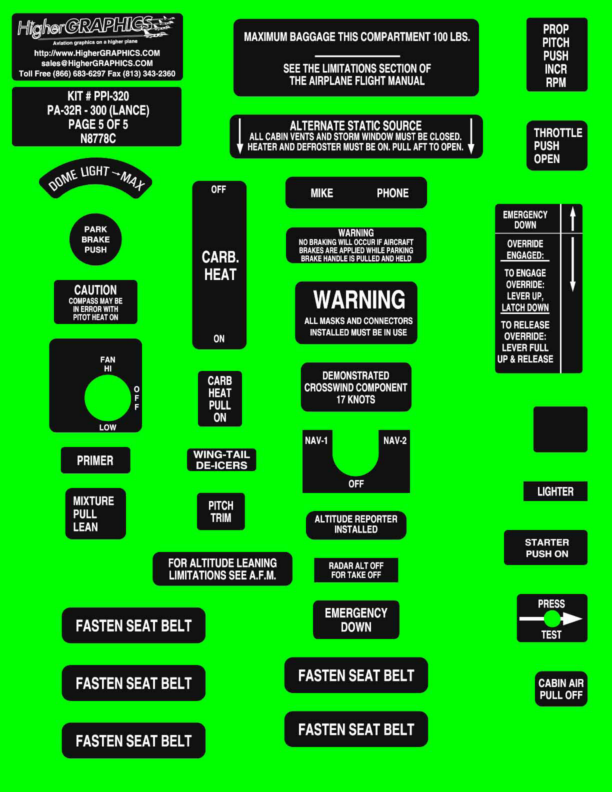 Interior kits with all the decals to refurbish various Piper aircraft. 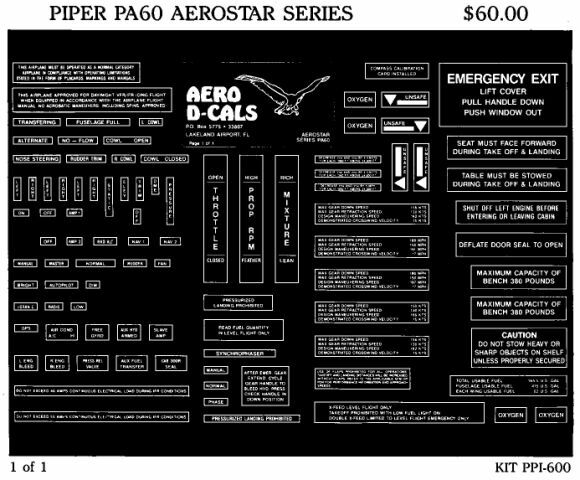 If you buy a kit from us and it does not have a decal that your plane needs, we will work with you to make that decal at no charge. 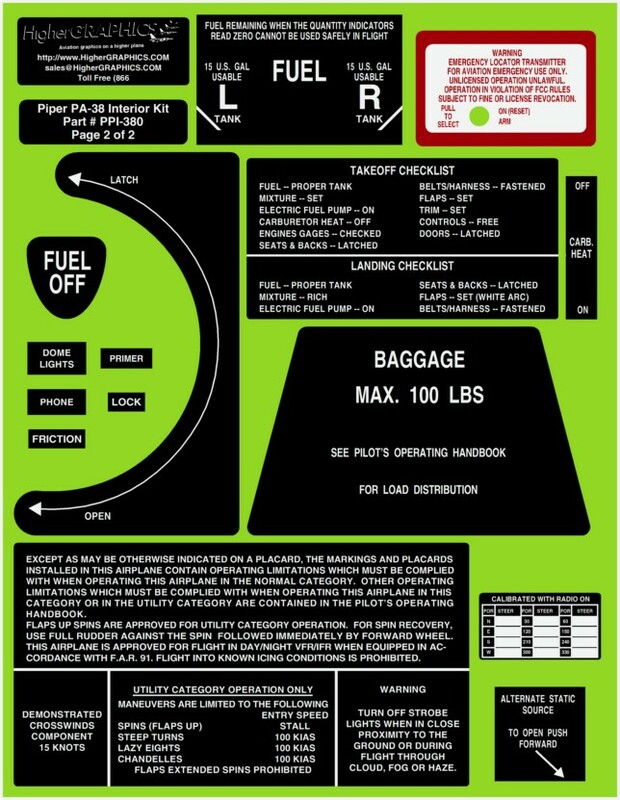 With Higher Graphics you can be sure that you are getting all the decals that your airplane needs!